Just hanging out in my dog mask, what are you doing? Killer of Sheep – Production value was nonexistence. Edits were occasionally cumbersome. Dialogue was, at times, difficult to hear. This all added up to an amazing movie about a man’s life and struggle in a Watts ghetto. 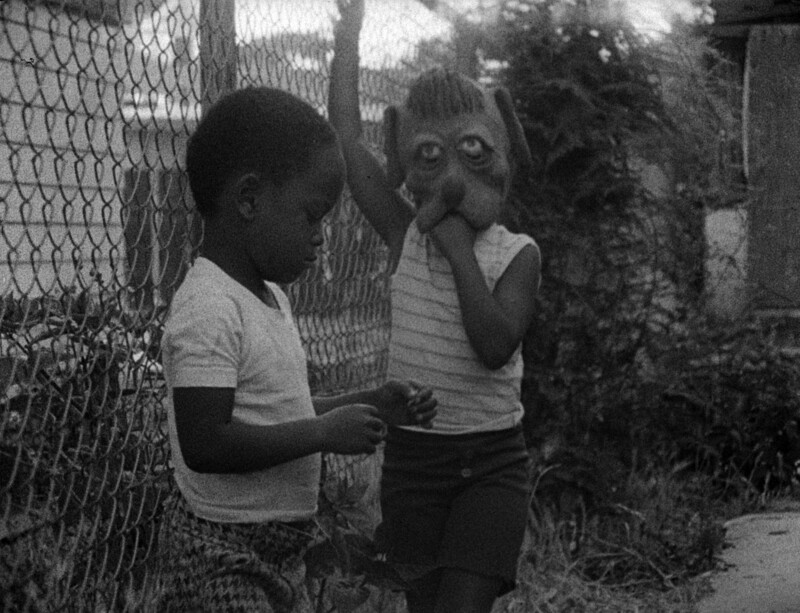 Charles Burnett crafts a beautiful film centered on Stan, a slaughterhouse worker becoming more and more cold and distant to the life surrounding him. We never see anything amazing happen to Stan, just life and all of the trials it presents on a daily basis. He tries to be good (Stan turns down, in a nondescript way, the opportunity to commit a crime and make a quick buck. And when was the last time a film had the brass-danglers to say no to an action scene? A very powerful scene that spoke volumes for what it brilliantly didn’t do. ), he tries to provide, but the struggle continues. And after all of this, with the strength of his wife, a strong woman to lean on, at the end film, he smiles. And so do we. A must see. I'd be looking too. Maybe not so creepily, but I'd be looking. Pickpocket – This film, with its cool French lack of reaction, where it is more like they are telling you lines than delivering them, takes you on a journey into morality. It reminded me a bit of Dostoevsky’s Crime and Punishment with its views on laws versus conscience, are there people that possess the intellect and ability to be above the law, a woman in their lives that is used as a guiding force, a friend that tries to help them achieve what they want in a more honest way, etc. etc.. Dostoevsky’s discussion is far more dark and disturbing than Bresson’s, and does get into the characters mind a lot better, but Pickpocket does create an interesting world for our protagonist Michel to mosey through. (Advantage 1 Pickpocket: the main character has one name to keep track of, whereas there are apparently 45 ways to say ‘Raskolnikov’ in Russia. Advantage 2: Marika Green looks exactly like Natalie Portman.) 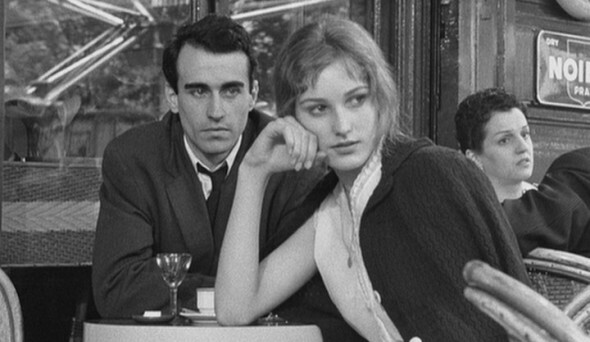 Pickpocket was a good film, not a great film, and even though there are better examples of the French New Wave to choose from, I would still recommend seeing it. In a world of white, a blue couch can really make a difference. Thirst – I will be honest, I went into this with a lot of concerns. The vampire thing is very played out for me. I have made my choice, it is Edward. I’ve moved on. So this movie started off playing behind the chains. Way behind. Halfway through, though, I was sold. This was a good movie. Some of the CGI was a tickle lame, but it was something I could get over. One of the most impressive things about the movie, and this is consistent with all of Park Chan-wook’s work, is the great composition of color on screen. It is visually arresting. This film also, amazingly and refreshingly, stays true to the original lore of the vampire with its strong sexual content and insanely more dangerous female vampire. I would recommend this movie for its visually stunning look and intricate story that calls into serious question morality, the afterlife, and what we decide to do with power.